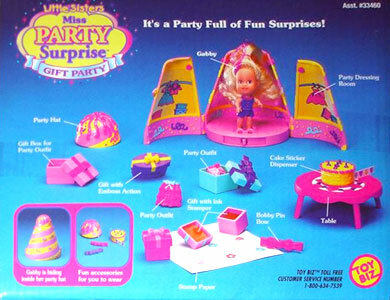 "It's a party full of fun surprises!" 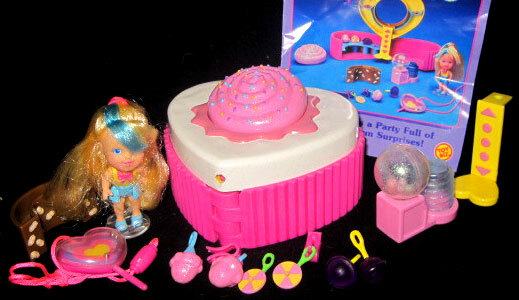 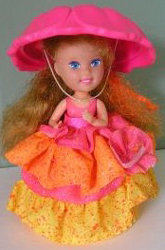 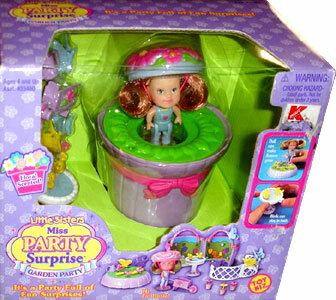 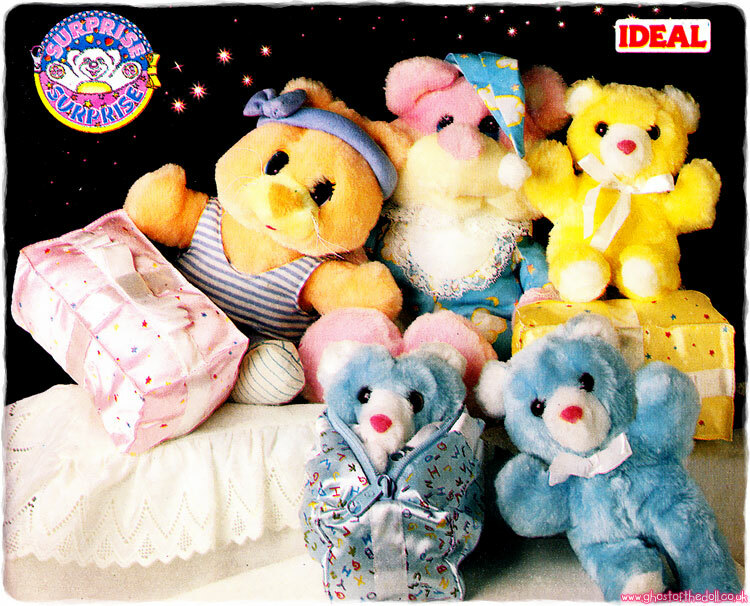 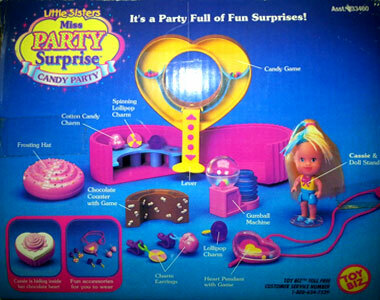 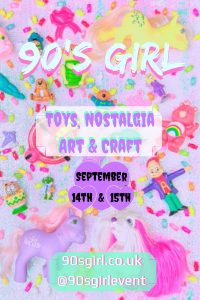 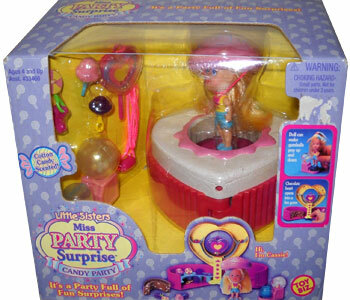 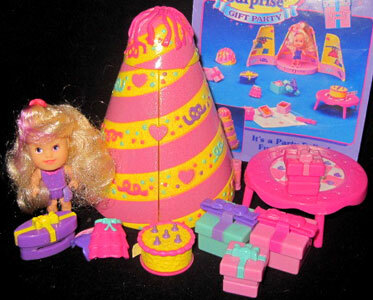 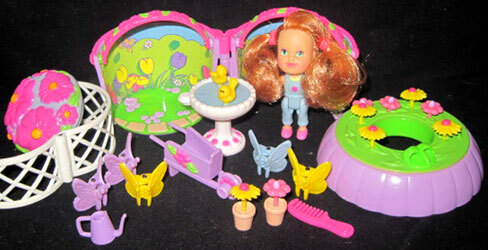 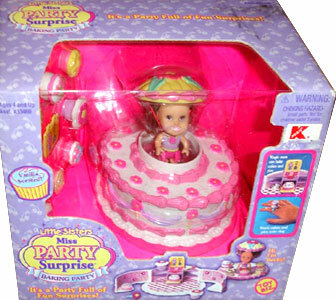 Miss Party Surprise were produced by Toy Biz in 1999-2002. 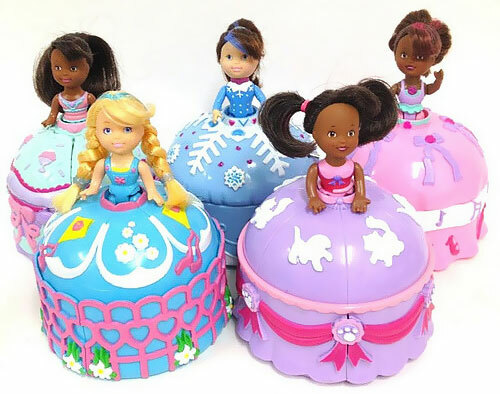 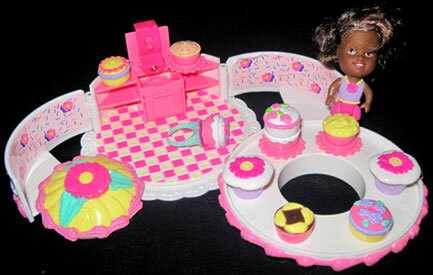 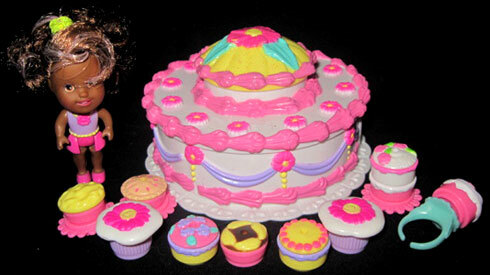 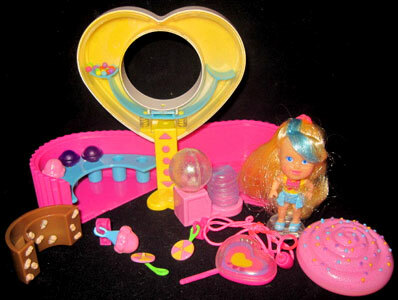 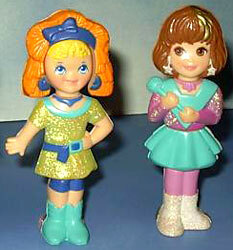 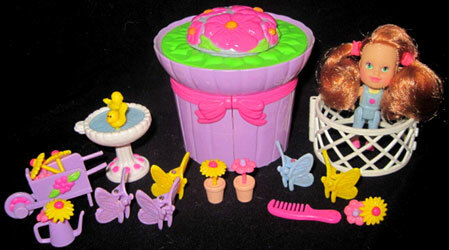 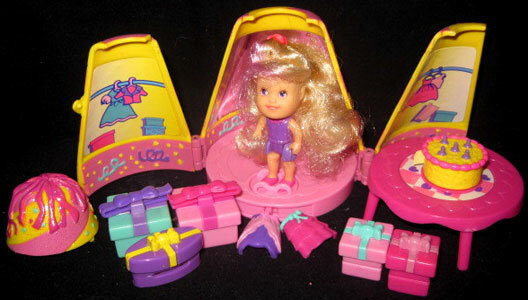 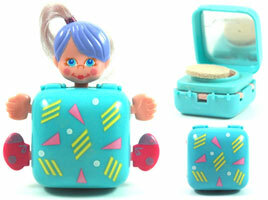 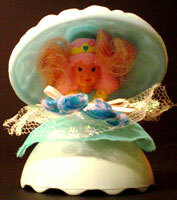 They were dolls with large plastic skirts, which when opened turned into a playset full of accessories. 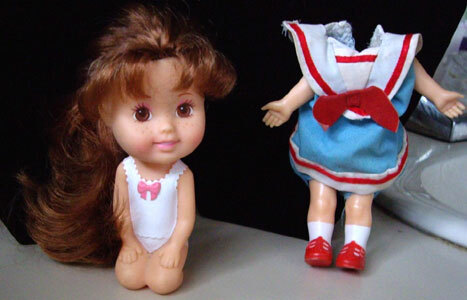 Images on this page thanks to Spiral Toy and various eBay sellers, including Doctor Teeth's Vintage Goods ! 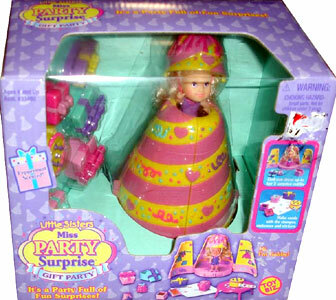 QUICK LINKS> Find Miss Party Surprise on eBay.com or eBay.co.uk ! 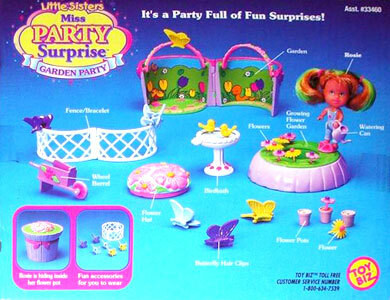 There were four Little Sisters Miss Party Surprise sets. 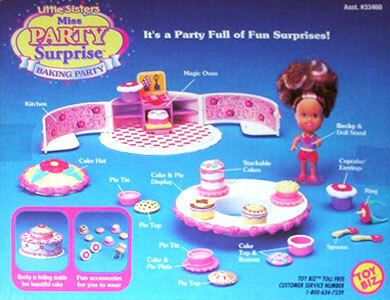 The dolls were smaller and the playsets started off as confectionary.